Love to start your own clothing business? Read practical advice to help you tackle each stage setting one up. You dream of launching your own clothing business. You know what you want to achieve, your designs are ready, and you understand your brand, but where do you go next? Negotiating and managing your supplier relationship. How to protect your brand. Finding a suitable manufacturer is one of the hardest aspects of running a fashion brand, according to Alison Lewy MBE, fashion industry expert, mentor, author and founder of Fashion Angel, a fashion business support agency offering mentoring, training, networking events and access to funding (including the government-backed Stat Up Loan scheme). You will need to find a supplier that can produce the products you require at the right quality, quantity and price point, depending on your brand positioning. The good news is, there are more options than ever before to help track them down. Research – first ask friends, contacts, fabric suppliers, any in professional networks. You will be surprised how much people share if you just ask! Attend trade exhibitions – these are a great opportunity to connect with potential manufacturers. Meeting suppliers face to face makes it easier to build a relationship and assess their suitability. Events like Fashion SVP are the ideal base to find and network with manufacturers. Search online databases – there are several online searchable databases covering both UK and offshore that are a useful starting point. Use online portals – these new platforms offer a matching service between brand and manufacturer, allowing the brand to post their requirements and receive responses from interested suppliers. Join LinkedIn groups – there are many specialist groups which you can join where again you post your requirements and wait for responses. Get the Fashion Angel Business Club Suppliers Directory – this is our Little Black Book of useful profession and supplier contacts, downloadable from our website or Free for Silver & Gold Business Club members. Find sourcing agents – there are numerous freelancers or agencies that have contacts with manufacturers and act as brokers that can manage the sourcing and production process on your behalf. Finding a manufacturer is just the first step. The next challenge is to manage the production process effectively and keep control of the costs and quality. Here are three tips to help you. Fully understand where the roles and responsibilities lie, and understand your obligations as the customer too. It is important to understand their minimum and maximum order quantities and how they will interpret your designs – establishing these points at the beginning should avoid any confusion later down the line. Keep the lines of communication open constantly and keep complete transparency so that there is no confusion with orders. If your supplier is operating in a different country, factor in time differences and find a way to communicate which works for both parties. Don’t forget you are not the only client, and due to the fast- paced nature of the industry, your supplier will be under pressure from different angles. The best relationships are built on trust and respect from both sides. Debt based (loans) – these include business start-up loans. The Start Up Loan scheme is a government backed initiative offering flexible personal loans for business, which come with FREE business mentoring. Equity based (giving part of your business away in return for cash) – including crowdfunding and peer-to-peer funding. For many brands, being ethical and sustainable is essential – particularly as consumer demand increases. However, how can you find ethical suppliers or know whether yours are? The good news is that the number of suppliers committing to ethical best practice is increasing, and it is getting easier to connect with them. If you care about doing fashion well, and creating great products that don’t trash the planet, then you can find people to work with. 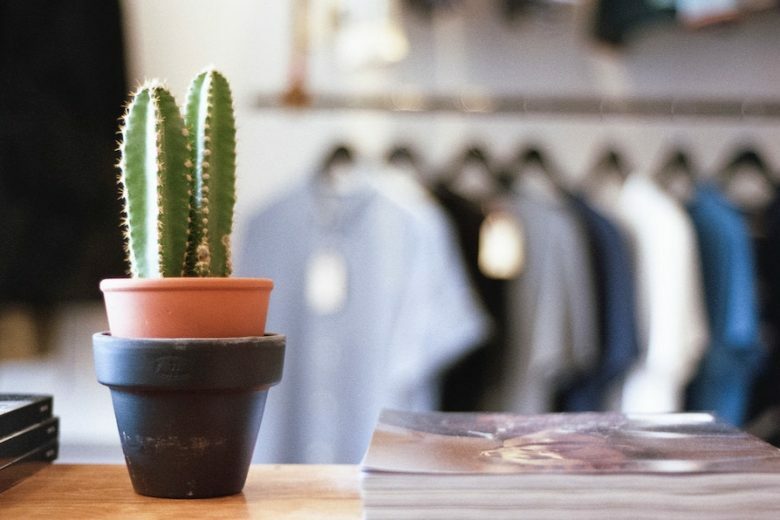 The Ethical Fashion Forum has operated a sustainable sourcing database since 2011, and is about to launch its new platform, Common Objective, to take this work to scale and help all fashion professionals source more sustainably. Is the factory already approved and audited by a well-known reputable retailer? Can they provide an ethical audit report? Once you have the report, look for any non-compliances identified by the author. If there are, ask the supplier for a copy of a corrective action plan (CAP). Ask for verification for any non-compliances. Understand how serious any non-compliances are – looking at the laws in the country the supplier is in. Ensuring that a supplier is ethically compliant is an important process that will help you build your label according to your ethical standards. Asking the right questions and seeking evidence are the initial and most important steps when selecting a potential supplier. “IP should not be an afterthought for start-ups; IP and brand value go hand-in-hand. Building IP into your strategy at the outset will give you a brand that can be scaled and exploited globally. If you’d like to know more about intellectual property, patents, trademarks etc, we recommend visiting the Intellectual Property Office website. Budding designers and brand owners can get free advice on starting a fashion business in the Fashion Station at the Fashion SVP trade show at London’s Olympia.